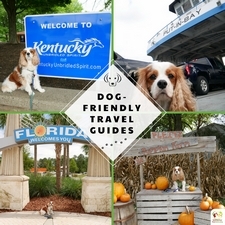 A few weeks ago, I attended the BlogPaws 2017 conference in Myrtle Beach, South Carolina. This was the first blogging conference I’ve attended. I guess blogging is getting real for me. 😉 I wanted to attend this blogging conference for three reasons: 1) It was in Myrtle Beach! 2) I wanted to learn more about being an effective pet blogger. 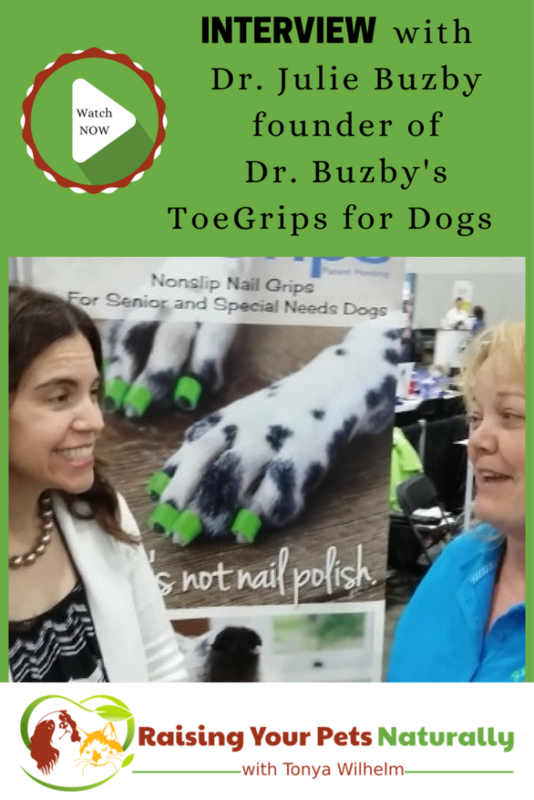 And 3) I wanted to meet Dr. Julie Buzby, the founder of Dr. Buzby’s Toegrips for Dogs. About eight months ago, Dexter wore his first pair of Toegrips, and these little rubber grips have transformed his life. You can read how in my November blog post. 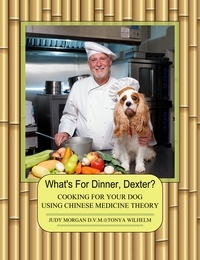 Today, I wanted to share my interview with Dr. Buzby. Enjoy. 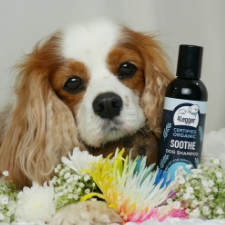 The word on the street is that Dr. Buzby has two more products up her sleeve! Dexter and I are waiting on pins and needles to see what she has next. Would your dog benefit from Toegrips? Tell me in the comments. I am so happy that the toegrips helped! That sounds like a wonderful product. These look like a nifty gadget(?) for a dog. Do they have a similar product for cats? We will all be there some day with our pups. Thanks for the great information about elderly dogs. <3 Sure thing. Love these guys to pieces. Our labrador is 11 years old, and has a lot of special needs. I need to pass this along to my mother. I think they could come in really handy. Thanks for sharing, Jessica. 11, that’s fantastic! I love Myrtle Beach and wish they had this show on when we visited! My puppy is still young but great to bear in mind these points so thank you for sharing! Myrtle Beach was a blast! The blogging conference was a lot of fun. Toegrips are so helpful for senior dogs or dogs slipping on floors. We had a dog who passed at 12 years old (oh how we loved him!) and he was quite the granpda. Sadly all these new products weren’t available then. I’m so happy they are now. Our new dog is turning 4 in December. I’ve never heard of Toegrips before, such an awesome concept! It’s also cool that you were able to interview the creater of them! Thanks, Shannon. Dr. Buzby is an amazing woman. It was such a treat to meet and talk with her. Thanks for sharing Toegrips with your friend. They are truly a simple, yet effective product. Thanks for the kudos! Toegrips sounds like a great product. I don’t have a dog. I can’t wait to get one. They really are. Good luck with doggie shopping. Glad you found my blog. Now this is a pretty neat product! Our Taffy is still pretty young, but I’m sure she would benefit from this in her old age! Wow that’s so exciting about your first blog conference! Those Toegrips are such a great invention. It was a lot of fun! Toegrips are such a unique and helpful product for dogs. What an amazing product! I had never heard of toe grips before watching your video and it was really interesting to hear it’s application and how it assists older, injured or special needs dogs. The part where the vet mentioned using super glue for application on the nails does make sense when you think about how they would slip off otherwise. Such a useful and helpful product that I think could benefit a couple of dogs that I am aware of. Thanks for spreading the word! Everyone, take care of your furry friend.. i also do <3. Love the video. I have an aunty with a quite old dog and she definitely needs to know about the toegrips! Hi Ashvin. I hope you share with your aunty. Toegrips are just such an amazing product and can help so many dogs. Interesting, we have senior doggies. It is sad that they age and get old but some days we wouldn’t even know they act like puppies haha! I know there are a lot of special needs doggies out there too. Thanks for sharing this! Great interview. I was just telling my kids about the costs associated with dogs. It’s getting so expensive to care for them that it’s turned me off for wanting one anymore. I like when sites are transparent about the needs of pets. Pets are definitely expensive and should be treated like family. It’s good to come to that conclusion prior to bringing one home. It’s sad when a special needs or senior pet gets looked over at the shelter. They have so much love to give. I’m from SC and I’ve never heard of this conference or the toe grips. I’m more of a cat lady but I’m passing this along to my sister who is doggy crazy. She will love it! Thank you so much for sharing. BlogPaws has a yearly conference in various states. 🙂 All pets, cats too! Thanks for sharing Toegrips with your sister. Nice. I had never heard of toegrips before. I’m glad there are things like this to help. 🙂 So happy for products like Toegrips for our special dogs. Love all the great products in the pet market. Thanks. The conference was great! Toegrips are amazing. I didn’t know these were a thing. So glad your dog found some relief and what a great first experience at a conference for you! 🙂 Thanks. I’m so happy to have a natural product that is improving Dexter’s life. Amazing innovation. I have 4 dogs; all of them are less than 4 years old, but I know I need to be well-equipped with ideas like this in the future. 🙂 It really is a great product! Amazing innovation. I have 4 dogs; all of them are less than 4 years old, but I know I need to be well-equipped with ideas like this in the future. Thanks for sharing! <3 Thanks for reading. We love Toegrips and Dr. Buzby. It’s not easy to take care of senior dogs. It’s worth it though, especially since they’re part of the family. I think this was a nice interview. It’s good to learn more about how we can take care of our fur babies. Thanks for keeping Toegrips in mind for the future. sounds like a wonderful product. Thanks for sharing this! x Toegrips are relatively a new product. So glad they are around for our pups now. Thanks. I would appreciate shares on this product. Toegrips can help so many dogs. These are a great idea! My last dog (miss him still) had trouble walking on our slick floor and would sometimes fall. 🙁 Could have used these! These are such great products and I have a dog of my own. What a lovely read and I love things for dogs or anything dog related. Thanks, Jackie. I appreciate your comments. I need to look into getting some for my dog. She isn’t aging well and forgets her limitations. What a wonderful product! We have hardwood floors at our house and sometimes our dogs are a little slippy slidey on them. Outside of that though, anything that can help dogs have the best quality of life is a win in my book. I’m so glad these are in the rolodex of choices! Thanks, Ali. Toegrips are an amazing product! Rolodex of choices, I love it! What a great idea! It sounds like it REALLY helps pets! 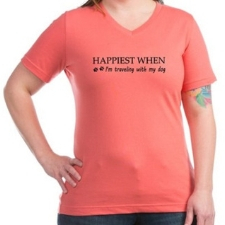 And I’m with you, Myrtle Beach is so fun! Myrtle Beach was a blast! 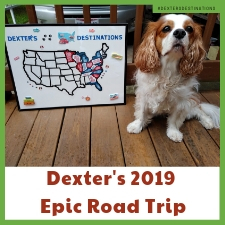 I’m so glad I stayed a week to allow for some R & R time with Dexter. Your post is very helpful. I will definitely use these tips when my fluff baby gets older too. Thanks for sharing. Thanks Ophelia. I’m glad to put a product on your radar for when your pup gets older. How wonderful that they helped your dog. I didn’t even know things like this existed. <3 I love that there are some new products on the market to help our special pets. I always see videos of dogs running and slipping on the kitchen floor. The toegrips would be perfect for that. So true. Those videos make me sad. I can only imagine how Dr. Buzby feels when she sees them. 🙂 Me too! So excited to see what’s up Dr. Buzby’s sleeve. I learned something new today as I’ve often wondered what those toe grips were for. It’s amazing how much new aids are available to aging pets… wonderful! Thanks, Elizabeth! Toegrips are amazing. I’m happy to share what they can do. Thanks, Nora. I’m so happy to share with my viewers great products. It’s extra fun when it’s a product they have not heard of that might benefit their furry family. I am enjoying watching animal videos and tutorials how to raise them. Thanks for your generous post! 🙂 Thanks. I’m glad you are enjoying my site. Love meeting new people and sharing. 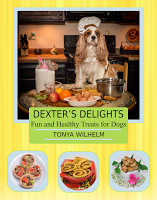 Thank you, Tonya and Dexter, for the opportunity to be interviewed for your blog! It was super fun to finally meet in person in Myrtle Beach! I’m delighted and grateful that you are helping us spread the word about ToeGrips for senior and special needs dogs! This is so cool, I personally don’t have any pets yet but my brother does. One of his dogs is getting up there in age and I will definitely let him know about these Toegrips!! Thanks for sharing!! Thank you for sharing. I love being able to share such amazing products. ToeGrips for senior and special needs dogs seem wonderful! We have a ‘senior’ pet who we love very much, and will consider the products. Thank you for the heads up and information. Sure thing Yeu. It’s so important to help our senior dogs feel confident when walking and getting up. our dog has special needs. He is adorable but has a lot of health issues. I never heard of toe grips for dogs. So interesting. Hi, Angela. So sorry about your pup. My boy has special needs too. It can be a challenge at times, but so worth it. I’ve written some articles on special needs pets and have reviewed some products. 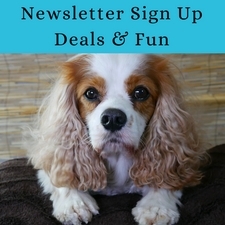 https://raisingyourpetsnaturally.com/?s=special+needs Maybe you will find something helpful. Thanks. Glad to share Toegrips with you. They are so helpful for senior dogs, special needs dogs or to navigate slippery floors. Omg so many helpful things for the furbabies!!! Those toe grips look so neat!! Glad there is something out there to help doggies!! Yes. We are huge fans of Toegrips and wear them in our home. Wow! The new things we learn everyday! I never knew there was such a thing as toegrips for your dog! I bet they really do make a difference. 🙂 Thanks! They do. I’m so glad to be able to share this amazing product.